The Hinterland has a huge range of trails and walks for all ages and abilities, including wheelchair accessible and pushchair-friendly tracks. Here’s a quick rundown of the area’s walks. This track is perfect for young families who feel like a barbecue among stunning views after their saunter as the trail has free gas barbecue sets onsite. This track offers amazing views all the way along the way and you can also climb a fire tower. This circular trail offers walkers gorgeous 360 views from the top of the mount. Nice and flat, this easy walk takes you round the bottom of the mountain. Joined to the Mount Tibrogargen track, this longer walk takes people through wood and heathland and lets them enjoy views from the Jack Ferris lookout on the Trachyte Ridge. Walk among the eucalyptus trees and explore the rainforest, while listening out for the Wompoo fruit dove. A long old circular walk, but you can cool off in rockpools along the way, as well as rainforest settings and waterfalls. Perfect. This circular walk has uphill sections so it’s ideal for the fitter ramblers. They’ll be rewarded with amazing views at the top, though. This circular walk leads ramblers through an ever-changing environment and offers space and time for a picnic. A nice easy walk through eucalyptus trees, ideal for walking off that big lunch. This challenging walk has a lot of steps, so not ideal for everyone. 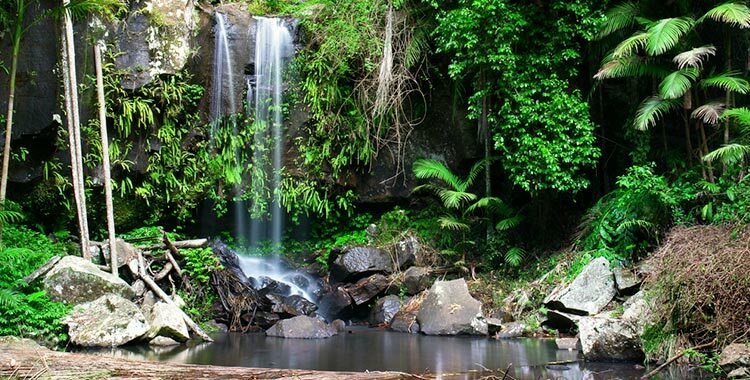 It offers views of Kondalilla Falls and lots of shade. Wheelchair accessible. This walk is shaded and aromatic and leads walkers into Maleny. 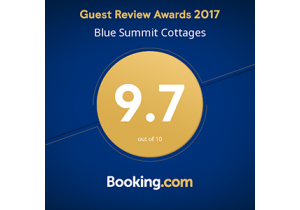 Blue Summit Cottages – have just added 72 acres to the existing property and during the year will be developing forest walks exclusively for guests.